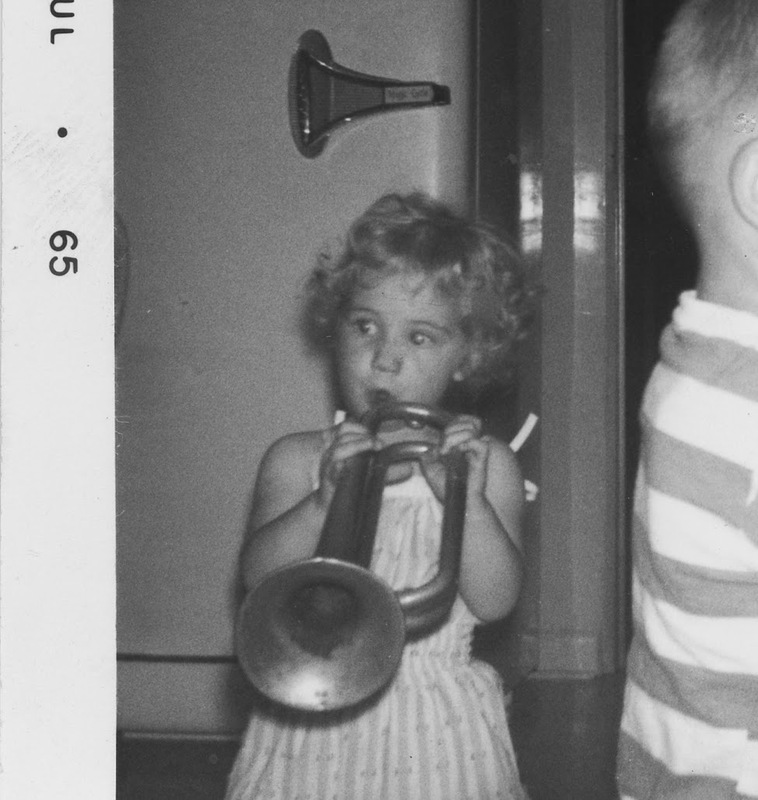 This is a photo of me at age 2. You can wake up in the morning. You older people know what Im talkin' about. You actually give people's birthday cards to them BEFORE their birthday. You write to your Politicians in Office and they actually respond. when all I can see are FLAMES! your husband asks you if you are making him do "all that". My aids are almost invisible - YES! and not at a show. You are going back to work again in the woods. and we are going to get paid! SO What good things ARE happening for you ? TOOT YOUR OWN HORN WEEKEND!! I lunged my new horse for the first time today. That was something. Wait...something in a good way? I hope so! Getting a hit of Madeline Kahn just about made my day all by itself. Gone too soon and along with Gilda Radner (things must be hilarious wherever they went!) Love the horn photo. Even at two you had so much class. Hooray for weather good enough to go into the woods. Even if it snows tomorrow. Have a great weekend. Good deal getting to go back to work in the woods AND getting paid! Congrats on your horsewomanship skills too! It's good to toot your own horn occasionally. :) Me, I'm finally going to attempt to trim the goats' hooves...wish me luck! Wishing you sharp blades and no injuries, you brave woman you! Have fun in the woods! Out there in that vast, wide, "houses few and far between land"! :) It's always double good to get paid for doing what you enjoy! My guide dog puppy-in-training did GREAT at her evaluation and walked past a barking dog calmly. She leaves for formal training in July. So bittersweet. How is sweet Ranger dog doing? Does he still love his happily ever after? Is he as excited as you to get back in the woods? YAY PUPPY IN TRAINING!!!! and for you to be her brave leader! Toot that horn, girl! Hey, I teach 2nd grade and we are nearing the end of the school year....toot, toot! YAY FOR WEANED BABY BULLS! Ahhhhhhh, hmmmmm, hell I don't know! If folks don't toot their horns... who will?! Actually, my hubby is so wonderful, he toots my horn for me, when I won't! Congrats on heading back into the forest. My toot: well, I didn't really dooooo anything, but I'm gonna be a Gramma, and I can't wait!